Background/Info: Australian duo Pete Crane and Ben Bulig better known under the Shiv-R moniker originally released their fifth album “Requiem For The Hyperreal” back in 2017 on their own label Blind Mice Productions. Infacted Recordings released the album last year in Europe as CD format featuring 2 bonus cuts, which aren’t featured at the vinyl edition. Content: The Australian duo became an instant success story and this new opus only confirms the potential of Shiv-R. The sound became more ‘personal’ throughout the years, reaching a harsh mix of EBM and raw, industrial sound treatments. I also noticed a few quieter cuts revealing moody atmospheres. Shiv-R has something unique sometimes accentuated by a punkish flavor on top of the production. Among the bonus cuts you’ll find one new song plus a remix by Leather Strip. 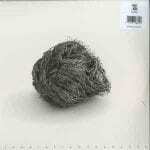 + + + : What I especially like on this work is the personal approach of Shiv-R. They’ve found their own sound, inspired by familiar influences, but resulting in something different from the ‘traditional’ electro-underground release. Raw bass lines, fat sound treatments, cool effects, space-like sweeps and an industrial touch are the main keywords to define the global sound of this album. It has been carried by hard-pumping kicks and the alluring vocals of Pete Crane. I also noticed a more emotive side running through this work. It’s not my favorite part of the work although “Apples” is a real cool song. – – – : I already mentioned I’m not totally convinced by some of the ‘softer’ cuts (by the exception of one song). Shiv-R sounds at their best when they’re composing hard-hitting songs! 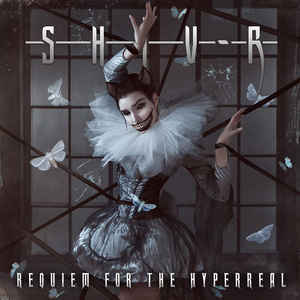 Conclusion: Shiv-R confirms their leading status as Australian electro/industrial formation. This album has something more personal in sound, but also is a well-crafted piece of modern and powerful electronics. Best songs: “Something To Say”, “Escape Velocity”, “Cheshire Grin”, “Disconnect”.